Mrs. Otter Vale abandoned Mr. on his birthday on Thursday (work! 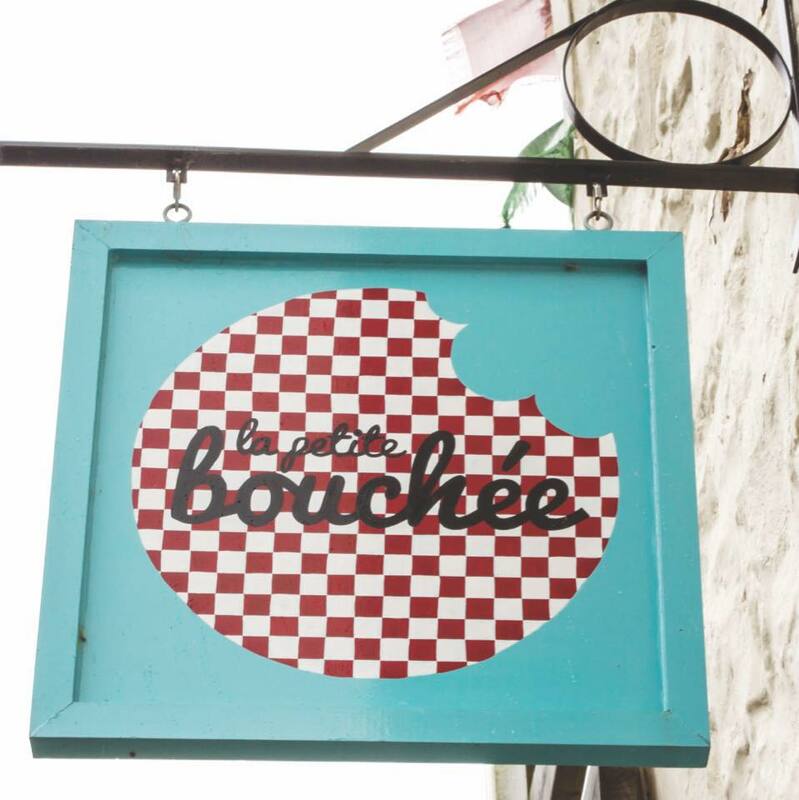 ), but more than made it up to him last night by treating him to dinner at La Petite Bouchée, Witheridge, Devon. And oh my, WHAT a treat! We love food, we’ve eaten in some awesome places, but we are not and we never will be restaurant critics. But we just have to tell you about our experience there. 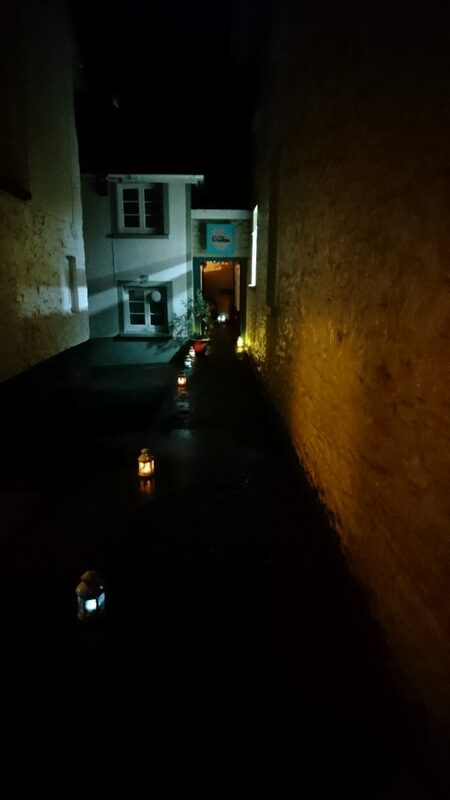 Impossible to say what was best about it – the lanterns lighting the enchanting path to heavenly Devonly food? the spot on/psychic front of house team (more bread Ben?! )? the relaxed and warm atmosphere? the obvious comfort and delight on the faces of the other diners? … or the food? And, wow, the food! Anita-Clare Field and her team have created something special, and thank goodness they are happy here in Devon. Over 90% of their ingredients come from within a 10 mile radius, and 95% from a 25 mile radius. They also grow as much of produce as possible. Til next time. Anita-Clare and team, we salute you!